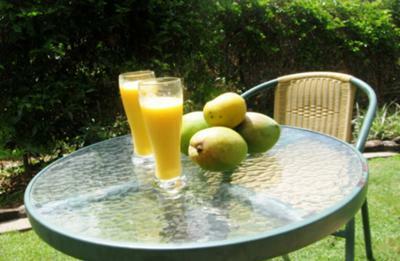 If you like mangoes, you'll love this yummy mango smoothie recipe. 1. In the food processor put frozen mango and ice cubes and turn it on until it's in little chips of frozen mango and ice. 2. Then put the mango and ice into blender. 3. Add the juice and yogurt. 4. Turn on and blend. 5. To finish up serve in cups of your choice. Serves 3 big cups or up to 10 little cups.